, professor of divinity in the university of Leipsic, was born at Amsterdam April 10, 1663. His father was a divine and pastor of the church of Meurs, but he had the misfortune to lose both parents when he was only five years old. His education then devolved upon his maternal grandfather, Francis Felbier, who appears to have done ample justice to him, and particularly introduced him to that intimate acquaintance with the French language for which he was afterwards distinguished. 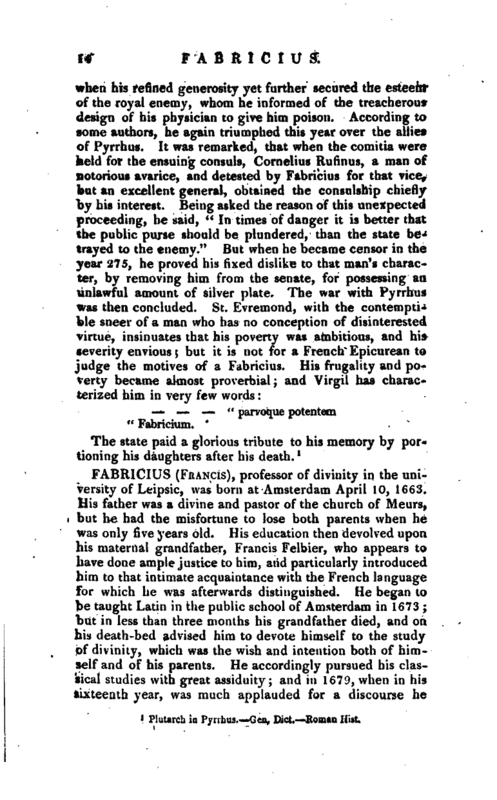 He began to be taught Latin in the public school of Amsterdam in 1673; “but in less than three months his grandfather died, and on his death-bed advised him to devote himself to the study of divinity, which was the wish and intention both of himself and of his parents. He accordingly pursued his classical studies with great assiduity; and in 1679, when in his sixteenth year, was much applauded for a discourse he | pronounced, according to the custom of the school. 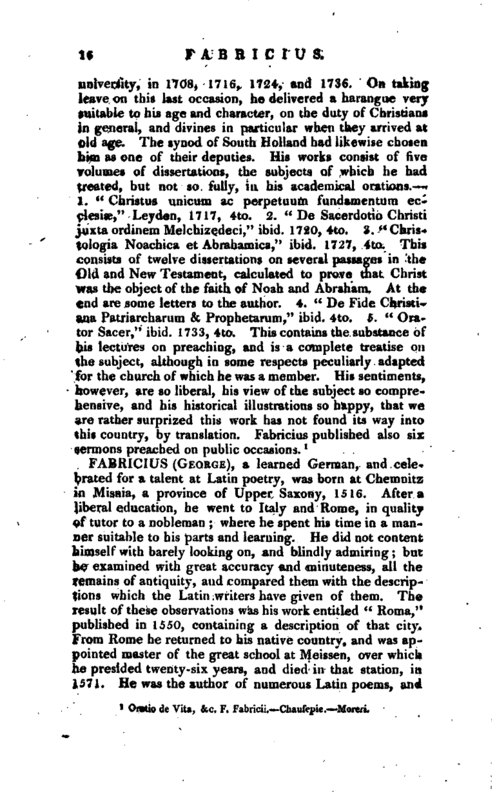 His subject was that” justice elevates a nation.‘ 7 After this he remained two more years at Amsterdam, and studied philosophy and rhetoric under the ablest professors; and at his leisure hours David Sarphati Pina, a physician and rabbi, gave him lessons in the Hebrew, Chaldaic, and Syriac languages, and enabled him to read the works of the Jewish doctors. 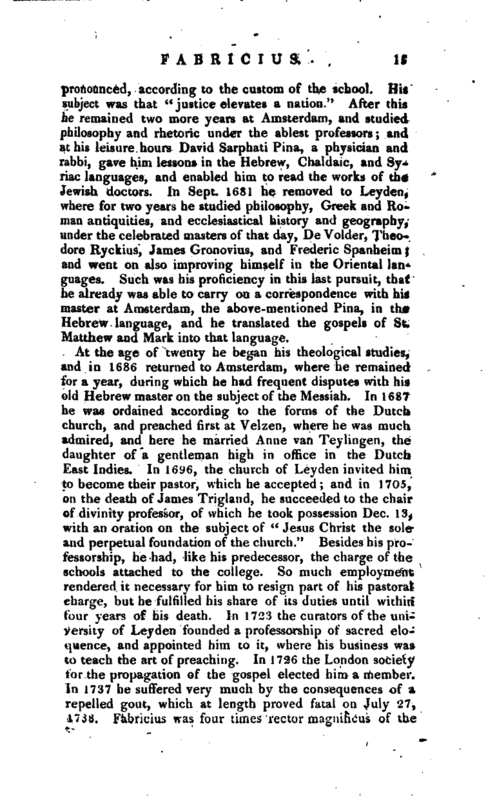 In Sept. 1681 he removed to Leyden, where for two years he studied philosophy, Greek and Roman antiquities, and ecclesiastical history and geography, under the celebrated masters of that day, De Voider, Theodore Ryckius, James Gronovius, and Frederic Spanheim; and went on also improving himself in the Oriental languages. Such was his proficiency in this last pursuit, that he already was able to carry on a correspondence with his master at Amsterdam, the above-mentioned Pina, in the Hebrew language, and he translated the gospels of St. Matthew and Mark into that language. Oratio de Vita, &c. F. Fabricii. —Chaufepie.—Moreri.